The shrine buildings and the torii gate, all painted in bright vermilion, stand in the inlet of Itsukushima Island (better known as Miyajima). They appear to be floating on the water when the tide is high. 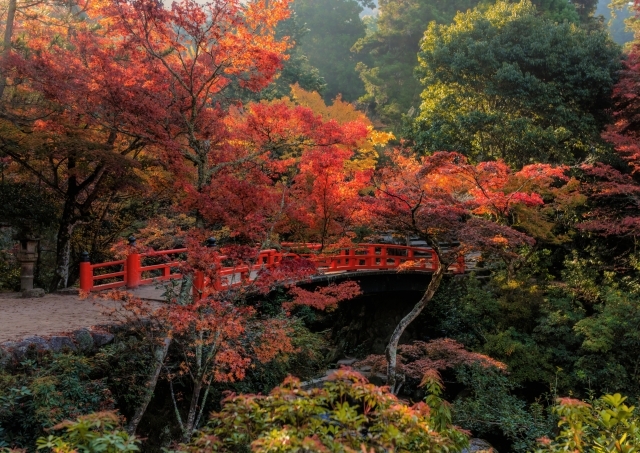 Since the Edo period, the shrine has been known as “one of the three most scenic spots in Japan,” and it was registered as a World Heritage Site in 1996, making it a world-class tourist destination. 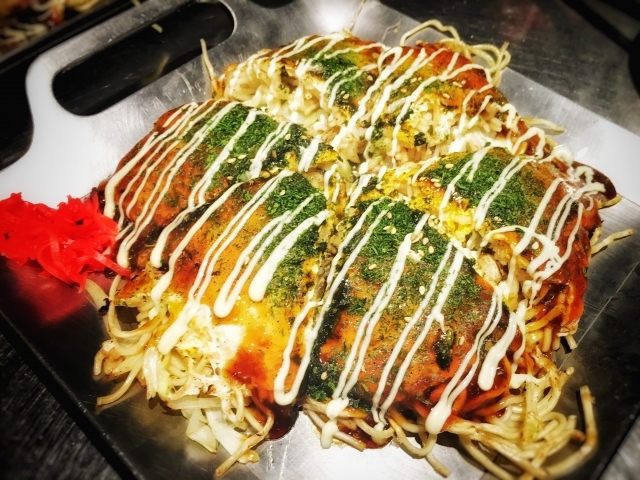 The recipes may vary from region to region, but the basics for making Hiroshima okonomiyaki are as follows. You cook the batter (the mixture of flour and water) in a thin circle, like a pancake, and then layer vegetables and pieces of meat on top of it. Then flip it over and gently press it to keep it together. Cook that side and then flip it over again. 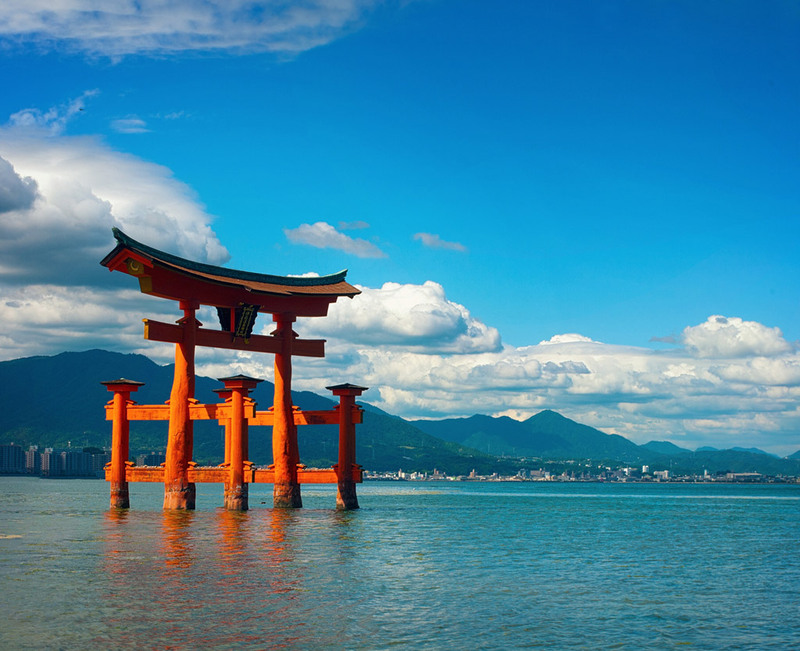 Do you know why the shrine and the torii gate are situated on the water’s edge? The whole island has long been considered a sacred place, so residents were initially prohibited from cutting down trees and tilling the soil. That’s why the shrine ended up being built where it is. Mount Misen on Miyajima has been worshipped since ancient times as a sacred place. The view from the top is just stunning. Though there’s a ropeway, you still need to walk for about 30 minutes to the mountain peak, so good walking shoes are recommended. There’s a high-speed ferry that runs between Miyajima and a pier near the A-Bomb Dome, but it is a bit expensive. The ferry seems so fast when it is out on the sea waters, but its speed is much reduced while cruising the river. If the water is high enough, you can go out on the deck and take in the magnificent cityscape as you sail by! You cannot actually go inside the A-Bomb Dome, but you can have a look at it on Google Earth. It shows the dome’s bare steel frame and collapsing brick walls. It’s worth checking out. 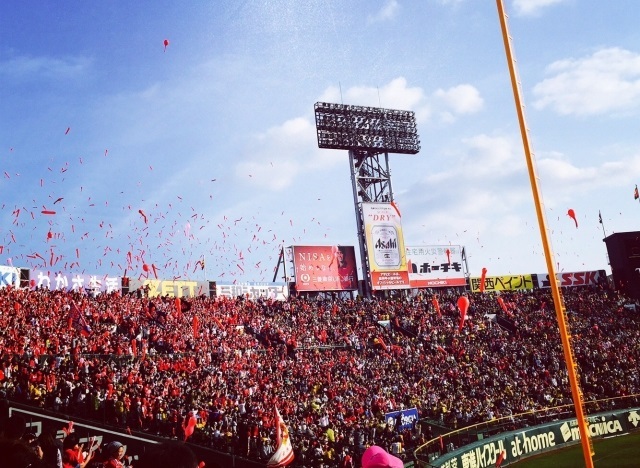 In professional baseball in Japan, there’s the famous seventh-inning balloon release, when the fans of both teams release long balloons into the air at the same time. 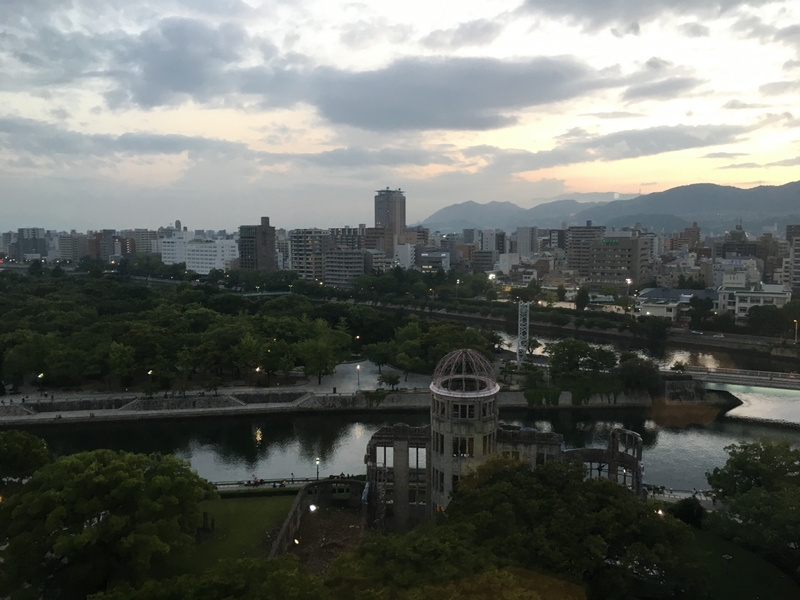 Did you know the Hiroshima Toyo Carp actually started the tradition? Let’s make sure the balloons we release are all red – the color of the Carp team!